Pentlatch Territory: Central east of Vancouver Island in British Columbia. During the 1800's, the Pentlatch, were invaded and occupied by the Laich-kwil-tach Division of the Kwakwaka'wakw. 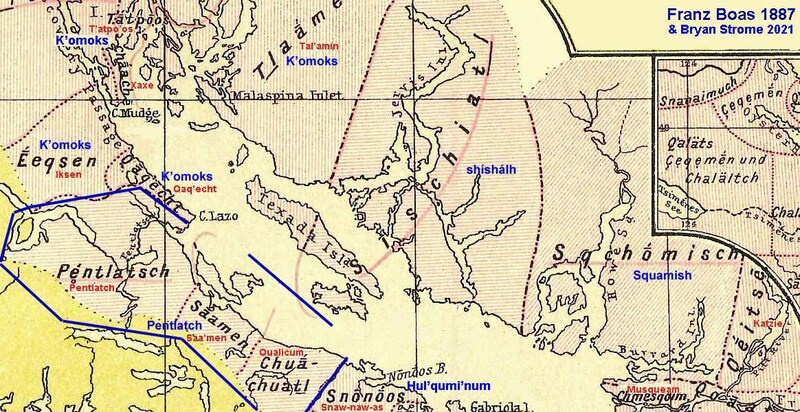 Previous attacks by the Haida had already weakened the Pentlatch as had the smallpox epidemic of 1862.